Combine all ingredients in shaker with lots of ice and shake until it's super cold. 53 members have added this recipe to their cookbook. A high protein, low fat tasty breakfast smoothie, with a secret veggie. A low fat, tasty alternative to the real thing. A refreshing frozen treat to replace ice cream. 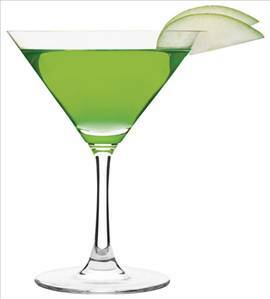 There are 153 calories in 1 serving of Pear Martini. Calorie break-down: 0% fat, 99% carbs, 1% protein.